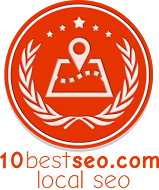 Awards company 10 Best SEO has added a new award for Best Local SEO Agency to recognize excellent work in regionally targeted SEO. The companies that earned the new award this year include Digital Current, WebpageFX, and Boostability. Recently, 10 Best SEO released a new monthly award for the Best Local SEO Agency. The first-place winner in this category for May 2016 is Digital Current, which has proven itself to be a true leader in the industry. Over the years, 10 Best SEO has been proud to give out awards acknowledging Internet marketing companies that operate in excellence. Now, they're pleased to announce a new award: Best Local SEO Agency. This award acknowledges the top local SEO business agencies and rewards them for consistently providing clients with the customized, cutting-edge digital services they deserve. Business owners who are interested in improving their conversion rates and optimizing relationships with clients should note that the following companies can help them realize the goal by offering amazing digital services. The top-reigning winner of this month’s award is Digital Current, an Internet marketing agency based in Mesa, Arizona. As the best local SEO business, Digital Current excels at providing their clients with diverse, dynamic search engine optimization services. These SEO services ensure that the business owner's brand will attain excellent ranking in the search results. The techies of Digital Current also maintain a customer-oriented approach to online advertising, meaning that clients can count on having their opinions and business ideology acknowledged and respected. Another amazing Internet marketing company that has earned this award is WebpageFX, a top local SEO agency based in Philadelphia, Pennsylvania. This digital firm is known for providing clients with the detail-oriented SEO services that empower them to connect clients with local customers. This marketing work helps brand owners optimize their level of visibility, build relationships, and expand their sphere of online influence. The WebpageFX professionals are also pleased to provide clients with several other brand-building marketing services, including web design and development. Third on the list of top local SEO businesses is Boostability. It has distinguished itself as an incredible online advertising agency that provides clients with the excellent digital marketing services they need to keep their companies in full bloom. Boostability knows the power of target market research, and they conduct the background work necessary to attain a comprehensive understanding of the client's primary audience. They also utilize cutting-edge local SEO techniques to ensure that the business owner's brand is being effectively advertised to members of the local community. Additionally, Boostability offers client-centered services that keep the brand owner's needs and interests at the center of the marketing campaign. For more information about the award winners, please visit http://www.10bestseo.com.